We know what you're thinking: How did Mimi Robag happen to discover two discarded wrappers? …In the same city? …On the same day? It's amazing! What with all the concern for pollution and the envirnment these days trash is getting harder to find, but Mimi keeps searching for you. 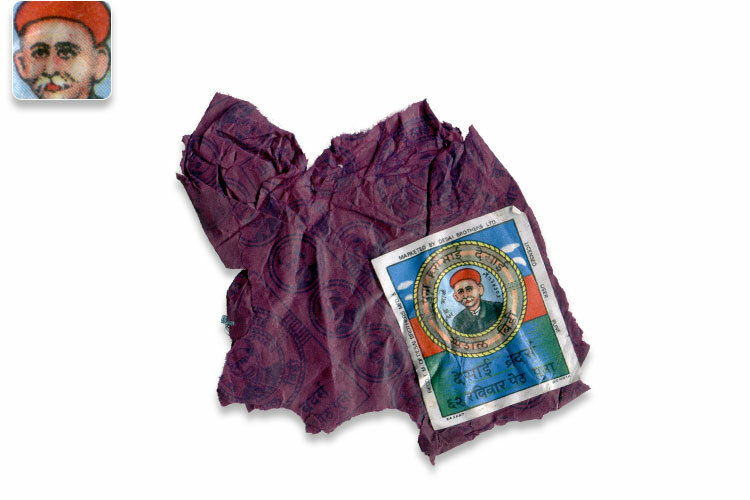 This wrapper was found in downtown Washington, DC and is relatively clean and pleasant smelling. A very interesting fellow is depicted on the label. Made with imported paper and mysterious adhesive substance. Jump start your trash collection by ordering both discarded wrappers right here from Mimi Robag. People who considered purchasing this were also interested in our other Discarded Wrapper.